Traditional Country Breakfast | Lincoln Days Celebration, Inc. 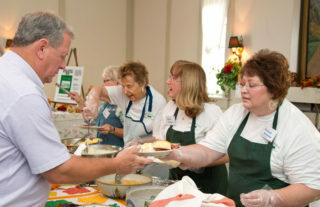 The Hodgenville Woman’s Club will serve a traditional country ham breakfast. Carry outs are available. Tickets are $12/each and may be purchased in advance at The Lincoln Museum (66 Lincoln Square). Tickets will be available at the door. Be sure to check out the Basket of LaRue giveaway.